Without the dominant pitchers of seasons past, more teams than usual are playing winning baseball. 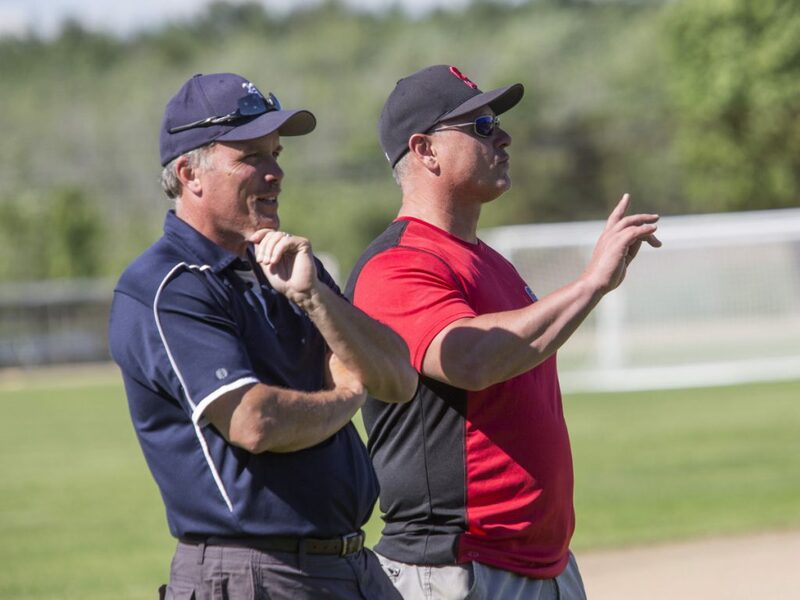 For longtime coaches Mike Rutherford and Mike D’Andrea, this year’s Class A South baseball season is notable for what it doesn’t have. “It’s the first year in my 20-plus years where there is no clear-cut favorite that everyone is afraid to play,” said Rutherford, who has Portland High in first place in the Heal Point standings with a 9-1 record. Entering Thursday’s games, 12 Class A South teams were at or above .500 and one of those – Cheverus (5-5) – is one spot outside of the playoffs in 13th. Last season seven teams finished at or above .500. As D’Andrea noted, a significant reason for the parity is the league lacks the dominant hard-throwing pitchers of recent memory. Further, several of the league’s most successful pitchers are juniors like Bryce Afthim of Windham and Donnie Tocci of Portland, or sophomores like Hunter Owen of South Portland and Nick Thompson of Scarborough. “I really think (Tanner) Bernier from Windham is the only really good senior pitcher,” said Rutherford. Portland and South Portland (8-2) have begun to get a little bit of separation, especially after the Red Riots shut out third-place Windham 3-0 on Wednesday. But there’s still a lot of baseball to be crammed into the final 10 days of the regular season with many games looming as significant opportunities to move up (or down) in the standings. That happened Wednesday when Thornton Academy – the preseason favorite – jumped to fourth after outslugging Noble (6-4) in a 14-5 win. NOBLE IS the surprise team in Class A South entering Thursday’s game against rival Marshwood as the seventh seed. The Hawks (6-4), ranked eighth, are also experiencing a bounce-back season after going 3-13 in 2017. Noble has scored late-inning, come-from-behind victories against Scarborough, Biddeford, Bonny Eagle and Westbrook, and also beat Falmouth. “Instead of being the team that would give it away, we’ve been a little different, putting pressure on people offensively,” said Noble Coach Adam Hale, in his eighth season. The Knights haven’t reached the Class A playoffs since 2013, when they were a 10th seed with a 4-12 record. Senior Jake Lacroix, a gritty pitcher/infielder, is Noble’s leader. He’s 3-1 with three complete-game wins, is hitting .350, and leads the team in RBI, walks and on-base percentage. Junior shortstop Coby Johnson (.345 batting, .450 on-base) and sophomore catcher Jared Grondin (.370 batting) are also contributing, and senior relief pitcher Jackson Vandenberg is 3-0. Noble’s losses have come to the current top four – Portland, South Portland, Windham and Thornton.